Welcome to the future, everyone. As we continue to ruin our planet by ripping out everything we possibly can, more and more people are entertaining the idea of living differently–and by differently, I mean off the grid. There are, after all, more ways to power a lightbulb than just by plugging it into the city’s power grid. With the idea of living sustainably comes the increasing popularity of tiny homes. My mum used to tell me that she didn’t need more space, she needed less stuff. She’s a smart woman. 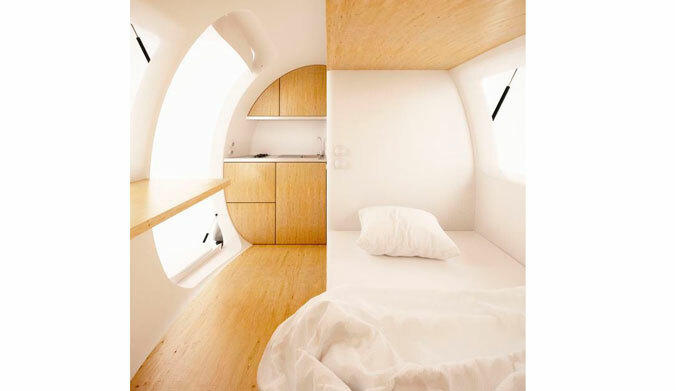 A Slovakian Architecture company called Nice Architects recently built a tiny little house that allows the owner to live completely off the grid in a perfectly laid out living area that has a serious emphasis on minimalism. 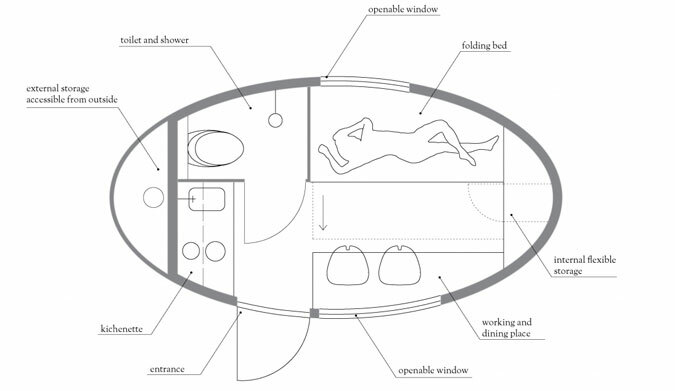 Coined the “Ecocapsule”, the little egg shaped home is full of amazing ideas. For starters, it’s small enough to tow, coming in at just under 15 feet long and 8 feet wide. And if you happen to have an electric car, it can charge it for you. The whole thing runs on wind and solar energy, storing power in a 9,744 watt-hour battery. It uses a 750 watt wind turbine and solar panels so effective that, as long is you’re not in an area completely devoid of sunshine, you’re set. 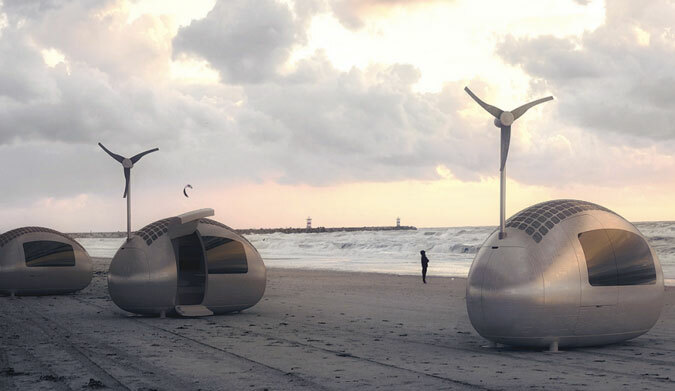 When it comes to water, the Ecocapsule is genius. Using a rainwater catchment system, the little trailer has a toilet, hot shower, and a little kitchen with running water. Of course, it’s not going to come cheap, although it’s much cheaper than buying real home, unless you’re buying one in Detroit. Pre-orders for shipping in mid 2016 are opening up in the next few weeks, and the capsules are probably going to be somewhere in the $90,000 range.